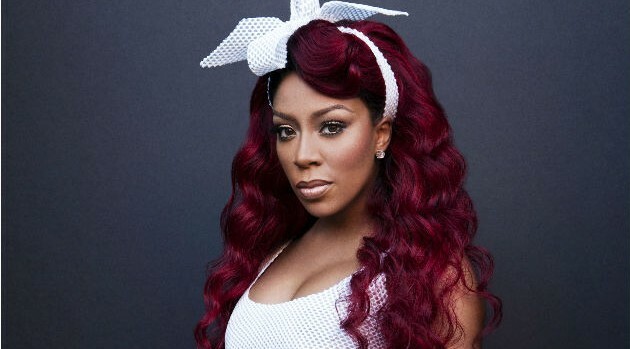 Image Courtesy JimmyFontaine/AtlanticAfter teasing fans for weeks, K. Michelle has finally announced the premiere date for her long-awaited video for “Hard to Do,” the next single from her latest album, Anybody Wanna Buy a Heart? The singer confirmed via Instagram that the clip will debut on Monday, May 18 via VH1. “Don’t miss the world premiere of my NEW music video, #HardToDo, immediately following the Love and Hip Hop Live Afterparty airing Monday at 9pm est,” she wrote in the caption to a photo of her wearing a revealing gold ensemble. Last week, Michelle gave fans a glimpse into the visual, which sees her posing next to a zebra. “I’m feeling SUPER excited about the #HardToDo video! Stepping out the box for this one, and it’s never felt better!” she revealed.